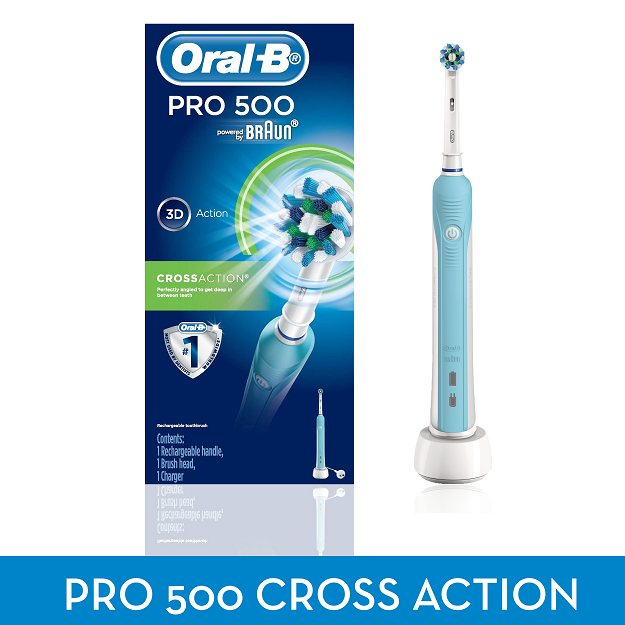 Experience Oral-B PRO 500 from the #1 brand recommended by dentists worldwide. While you are moving the brush around your mouth, Oral-B’s unique, Cross Action brush head does all the rest. Its CrissCross bristles are set at a 16 degree angle, which effectively clean along the gumline and reach deep between the teeth. 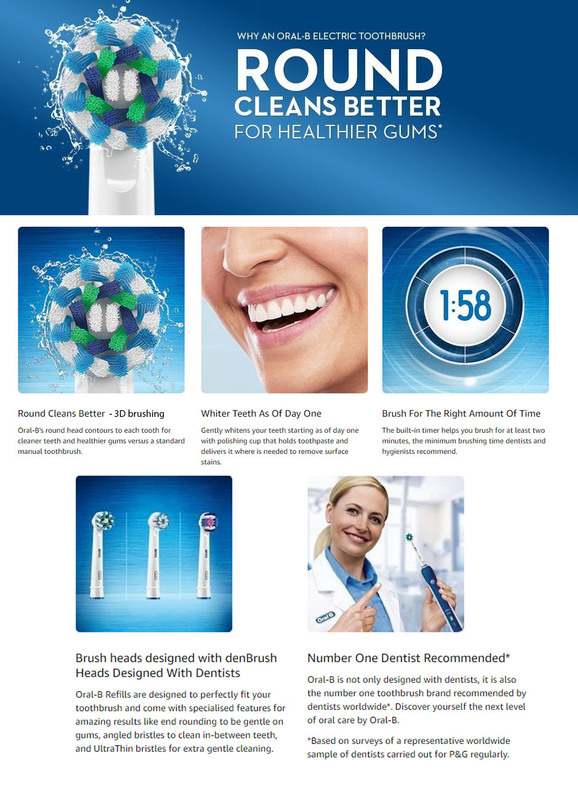 No wonder Oral-B is the #1 recommended brand by dentists worldwide.